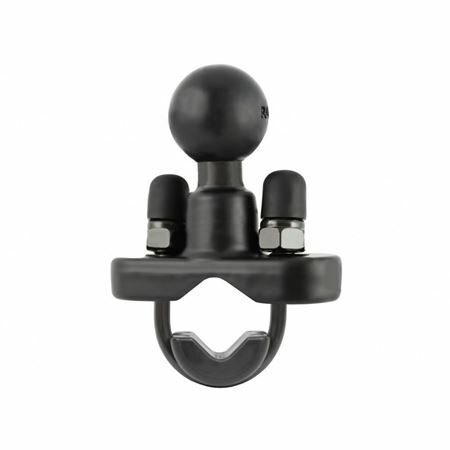 The RAM-B-231ZU RAM Rail Base w/ U-Bolt & 1" Ball motorcycle handlebar base from the RAM Mount Bases range is made of a 1” rubber ball that is specifically built to fasten on the mounting rail at right angles. The metal u-bolt is rust proof, designed for rails with 0.5” to 1” in diameter. The base is equipped with black cover caps that can cover the u-bolt’s exposed ends, as well as a composite adapter to narrow the rail to a 0.5” minimum width.